Triathlons! Is this the fitness trend you’ve been looking for? Are you passionate about health and fitness? Not sure how and where to start? Do you fancy a new and exciting physical challenge? Or do you simply want the opportunity to broaden your horizons and make new friends? Triathlons are set to be a massive fitness trend this year, with a surge in mature athletes signing up to push themselves to their limits. If you’re 50+ and thinking this might not be for you, we’re here to tell you otherwise. A standard distance triathlon consists of three disciplines; swimming, cycling and running. Designed to test your endurance, physical fitness and mental strength, taking part in a triathlon is no light undertaking. However, the rewards and sense of achievement on completion are apparently unrivalled. Hi Jo, let’s start at the beginning – what gave you the idea for Tri50? “It was a pure lightbulb moment. I was away on a Level 3 triathlon coaching course weekend in 2010 when I sat up in bed and realised there must be a niche market for mature athletes in triathlon. What’s the attraction of a triathlon for over-50s? Can you tell us a bit about what you offer at Tri50? Some of our readers may be thinking, ‘Can I do this? I have limited or no experience’. What would you say to them? “One doesn’t need to be an amazing athlete, have previous experience with the sport, or be in peak physical condition; all we ask is that athletes are willing and have passion, motivation and an enthusiasm to try something new. 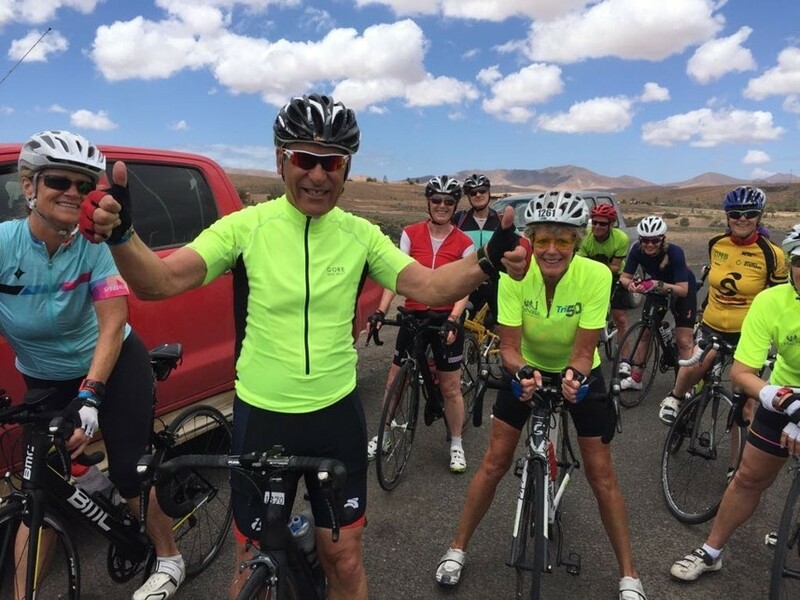 “Tri50’s current most mature athlete is 75 years old and thriving. Many 50 and 60-year-olds continue to pass through our hands, and firm friendships have been made, which is wonderful to witness. How can our readers get involved in this sport? “Join a local leisure centre (try and find one you enjoy attending) where you know you’ll feel comfortable and welcome. “Seek the advice of a qualified triathlon coach – not only will they be able to pass on years of experience, but they’ll ensure that individuals don’t overstretch their body’s capabilities, and will know how to take them at their own pace, alongside taking them out of their comfort zone, one step at a time. “Try aqua jogging or swimming first – these activities are a great way to build up your fitness and endurance levels, while being low-impact and putting less strain on your body. “Dust off one’s old shopping bike, sitting in the garage, and just enjoy cycling, which is another great way to increase your fitness while being low impact. Ladies can join ‘Breeze’, a free organisation sponsored by HSBC, which runs novice group rides. The benefits of cycling outdoors cannot be over-emphasised – it’s invigorating, exciting, surprisingly fun and sociable. Any final words of encouragement? This is geared to all age groups and ability levels (100m continuous swim is our minimum joining requirement). Our fully-coached swim camp takes place in beautiful Lanzarote at the end of April, and offers daily coached pool and sea swims, underwater filming to improve technique and awareness, and a personalised six-week swim training programme to take home. Ideal for those wanting to improve their general swim ability and/or prepare for the upcoming race season. For those wanting to develop skills in all elements of a triathlon, this camp offers swimming, running and cycling coaching, delivered by experienced and professional coaches. Mature athletes will also receive endurance and interval training across all the disciplines together, with general conditioning and strength exercises, nutrition and heart rate training principles, which are must-haves for injury-free success in this challenging sport. Want to inject some positivity into your workforce? Our corporate triathlon training days are inspiring, fun and a great way to encourage employees to lead a healthier lifestyle, and therefore become more productive in the workplace. Tri50 offers a personalised service to suit individual needs, be it help overcoming an injury, or fear of a particular element of the sport. Sandra and I focus on fulfilling individual requirements as a mature athlete. Why not register your interest today? You have nothing to lose, and everything to gain! Visit www.tri50.co.uk for further information on how to get started.